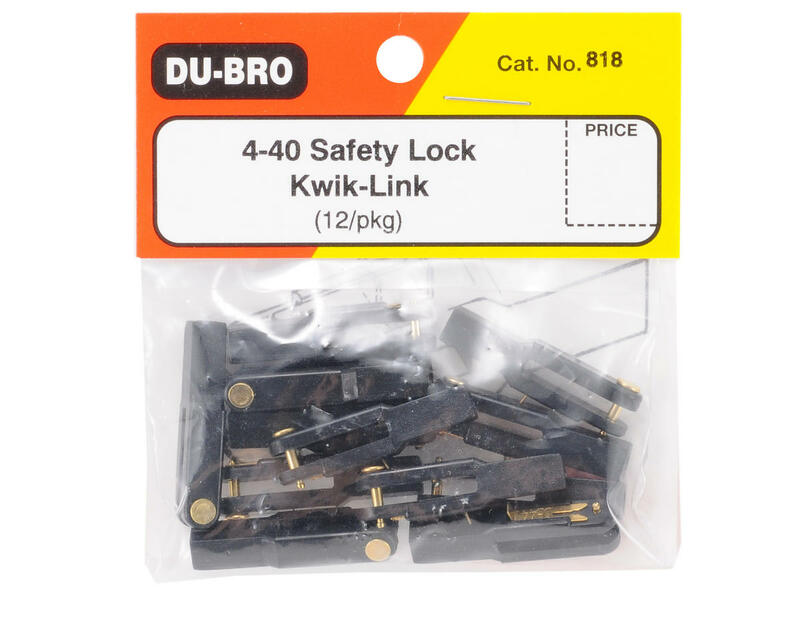 This is a pack of twelve Du-Bro 4-40 Safety Lock Kwik Links. The Safety Lock Kwik-Link offers everything a modeler could want in a clevis and more. Simply put, it's ingenious! Ideal for upgrading or replacement on A.R.F.'s. Super strong, super tough. More strength then you'll ever need. 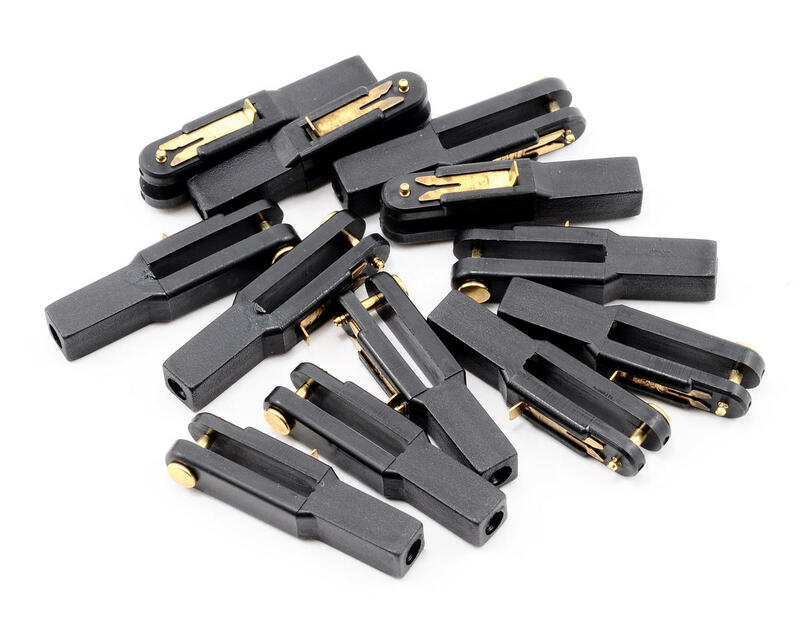 10% lighter than steel clevis'. Size stamped on safety lock for positive identification. Safety Lock is mounted in trac system on clevis to help prevent losing it.